The study tracked the physical and mental health of more than 7,000 US adults aged 20 to 75 years. I sometimes feel as I’ve done all there is to do in life. When followed up 14 years later, the researchers found purposeful people had outlived their counterparts, even when controlling for other factors such as negative mood. When individuals do not resist small steps taken by dictators to limit their freedom, the restrictions become stronger, until one day, totalitarianism becomes the norm for the whole group. It is especially hard to counter this when the dictators are friends one has known for more than three decades, working together to build the same institution. While many organisations, like the FNPF, include protection of “whistle-blowers” in order to tackle internal governance problems, we all know it is extremely difficult for vulnerable individuals to “blow the whistle” on those in positions of absolute authority. USP management recently warned all staff that they: “must never communicate directly with the members of the University’s Executive Committee or Council over any matter. A breach of these requirements may amount to … “gross misconduct” and may give rise to disciplinary action (including possibly, in serious cases, dismissal).” (my emphases). 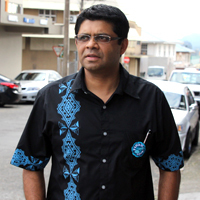 More calls have been made today for Attorney General, Aiyaz Sayed-Khaiyum to resign as Minister for Elections after he took up the General Secretary’s post in the proposed FijiFirst. THIS IS SO WRONG, WHEN WILL THE OPPOSING POLITICAL PARTIES GET IT RIGHT ? 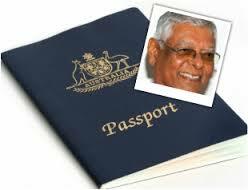 ATTORNEY GENERAL, MINISTER FOR JUSTICE OR MINISTER FOR ANTI CORRUPTION. Frank should know better as a naval man, particularly as a Rear Admiral, than to leave himself, and his party, open to broadside volleys. He has been more than flexible in allowing his favoured media outlets to breach decrees that his administration has imposed, so his party VP may have thought it acceptable not to disclose embarrassing information. Could it be Frank, that some of your trusted advisors are treating you like a mushroom, keeping you in the dark and feeding you fertiliser just to keep you happy. ??? Look around Frank, the information is everywhere, check out the following links they all make interesting reading. Finally Frank consider the old saying “One cannot build castles on shifting (or shifty) sands. Now is the time to take that Huge Leap Forward and become transparent in all the administration does, not after the elections, NOW. As part of the World Press Freedom Day celebrations, the USP School of Journalism (headed by Pat Craddock) held a Panel Discussion at USP on Friday 2 May 2014, to discuss the topic “Media Freedom and the Fiji General Election”. This certainly was progress of sorts in Fiji, in the run-up to the elections planned for September. But who would have thought that the media reports on the panel discussion would themselves illustrate very clearly how self-censorship continues in Fiji, quite contrary to the MIDA Chairman’s guarantee of protection of the media? Panelists included Ricardo Morris (publisher of the Republika), Seona Smiles (former Fiji Times senior reporter), Netani Rika (former editor of Fiji Times), Rachna Lal (senior journalist from Fiji Sun), and Ashwin Raj, Chairman of the Media Industry Development Authority (MIDA).